When I was growing up, that screeching sound now most commonly associated with a dial-up modem wasn’t emitted from a computer. The sound came from a heap of plastic and buttons called a fax machine. 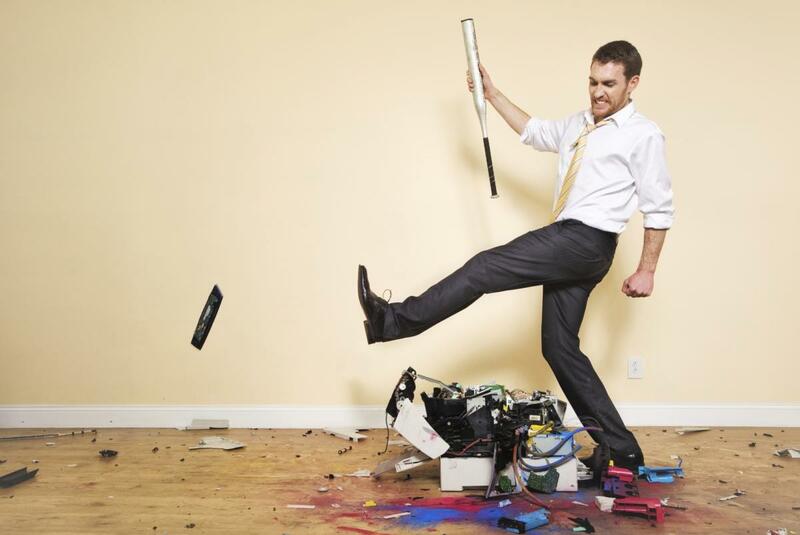 As digital communications took over, faxing declined, but some agencies and large corporations still rely on faxing documents instead of emailing them. Looking at you, government offices. 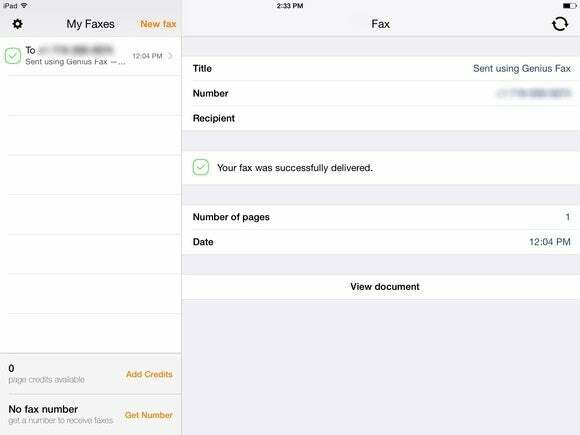 A few scanning apps incorporate the ability to share a document via fax, but for the purposes of this week’s column I focused solely on apps built to send and receive faxes. Scanning apps will be covered later, I promise. It isn’t new, but JotNot Fax has seen an uptick in updates and changes for both iOS 7 and iOS 8. The free app doesn’t allow you to receive faxes, but it does streamline the process of sending a fax. 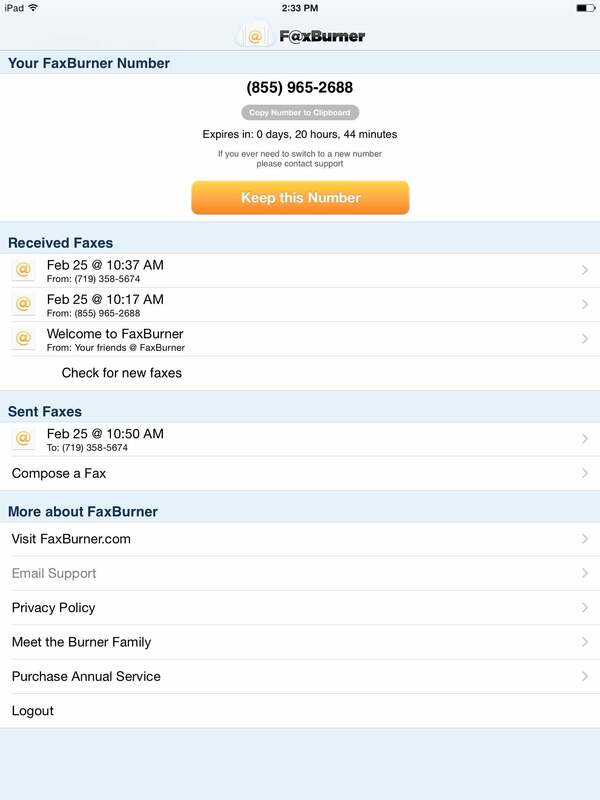 Launch the app, tap New Fax and select the source of your faxed document. 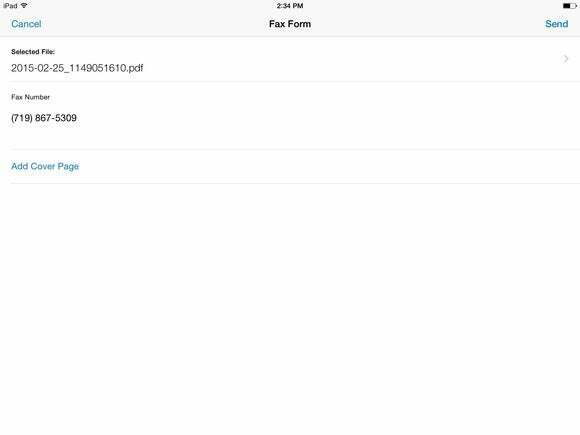 You can import a PDF (and only a PDF) from Dropbox, Google Drive, or Box, or use the iOS 8 share extension to send a document from the another app to JotNot Fax. From there, you enter the number to send the fax to and indicate if you want to include a cover page. You need to have credits in your account to send the fax; one credit translates to one page. Credits start at $1 each, and a pack of 20 is $15. Genius Fax offers the ability to both send and receive a fax. As with JotNot, you can send a fax by importing a PDF or image. You can even use the camera on your iOS device to “scan” a document. Sending a single-page fax will set you back $1. Or you could buy credit for 10 pages for $7 or 50 pages for $20. Additionally, you can even get your own fax number, for $4 per month, with discounts for buying three or six months. That lets you receive faxes as well as send them, but you still need to buy credits to send or receive—the charge for the number is separate. 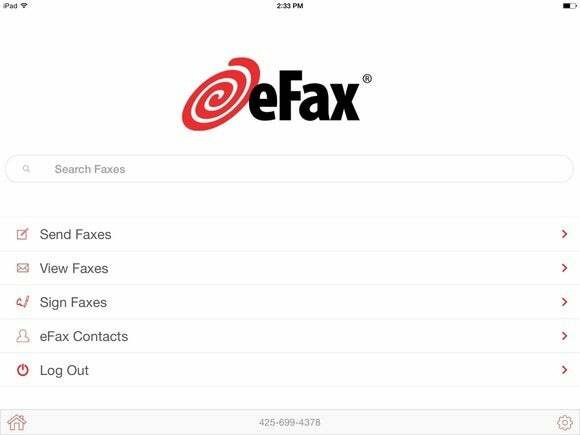 When you first signup for eFax, you’re assigned a fax number. You’re immediately able to receive a fax (without restriction), but the ability to send is hidden behind a monthly subscription. In order to do that, you’ll need to sign up for a monthly plan of $17. That plan includes 150 inbound and 150 outbound pages per month, with an overage fee of $0.10 per page. With this app you can send and receive messages using a fax number that expires after 24 hours. Once the number has expired, you’re then reassigned a new number. You can hold onto a number for a year with an in-app purchase of $99. The free account provides for a quick way to exchange important documents with a few limitations. A free account is limited to five total documents sent over the lifetime of the account, but you can receive 25 documents each month. For someone who only sporadically has the need to send or receive a fax, Fax Burner’s constantly changing number and limitations is a nonissue. For someone who requires the same number, or higher allotments for sharing documents the yearly plan is ideal.